The 2013 edition of consumers goods tradefair Ambiente is rich in positive colours, warm designs and innovative ideas. Some of the most fun of these ideas are to be found in the Talents section of the show, where international young designers are invited to exhibit free of charge, every year, to present their projects to potential buyers and manufacturers. Here is a foretaste of three designers who decided to change the way we cook, to be followed by our uncut photo gallery next week on Homebuildlife, as well as by further trend analysis. 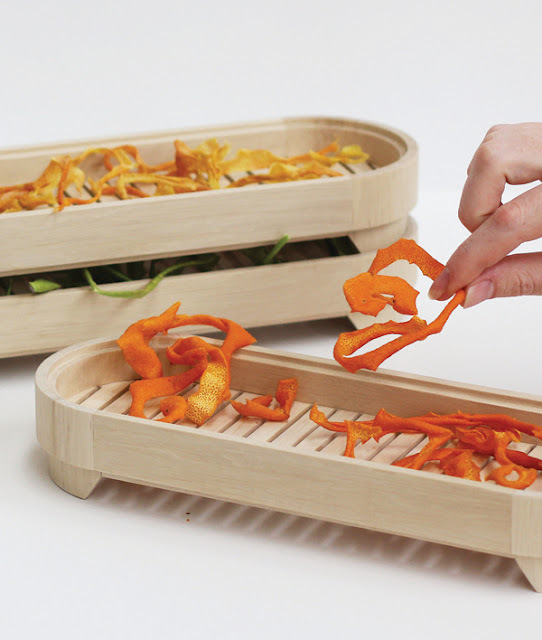 Although he is not a musician himself, Lee Sanghyeok has created a collection of musical cooking instruments for the kitchen. 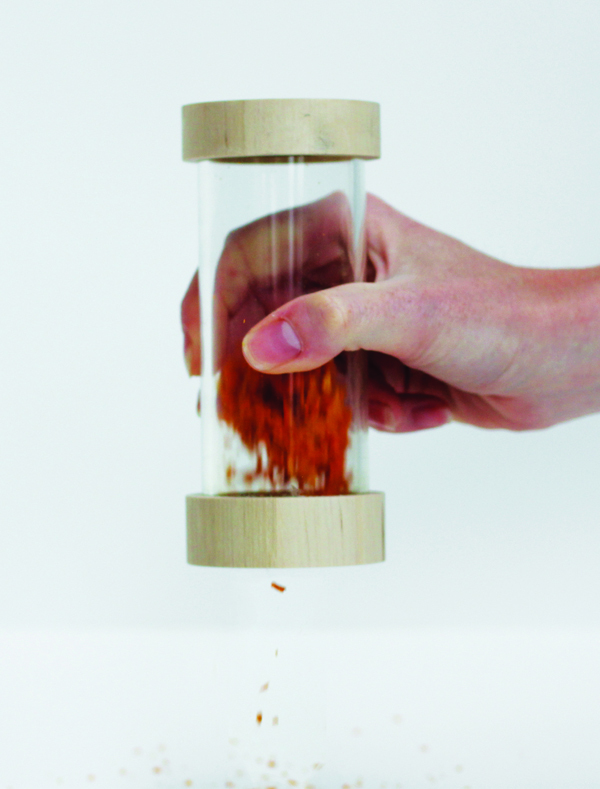 This includes a lid that makes the sound of a cymbal, chopping boards with different acoustics, salt and pepper glass balls that act as maracas, and a nut cracker that looks like castanets. Toni Baumann wanted to take some of the cooking utensils out of the kitchen and on to the dining table. 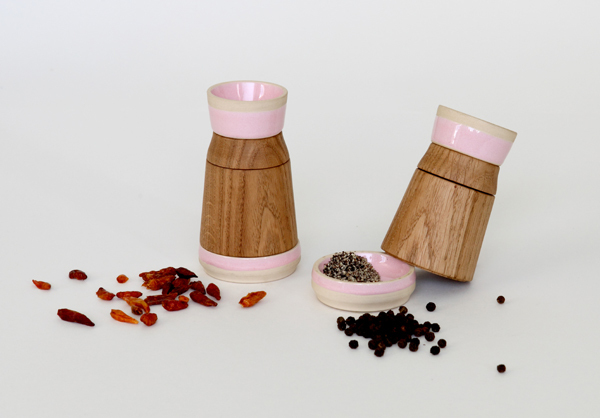 He created a series of ceramic accessories, from salt and pepper mills to a fresh herb grinder. 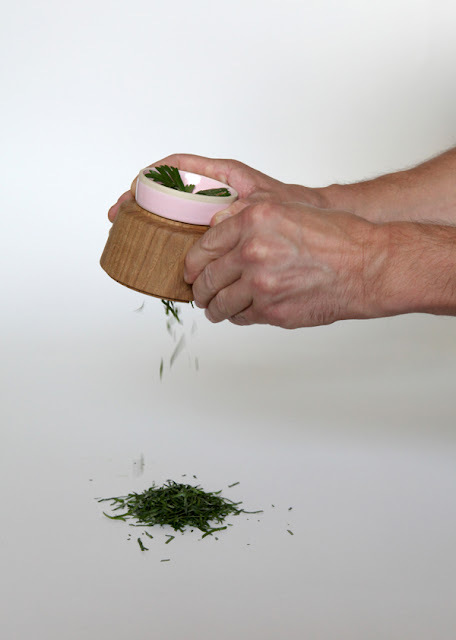 The purpose is to grind the seasoning directly onto the plate so that herbs don't have time to wither or lose their flavour, and only what is needed is used. 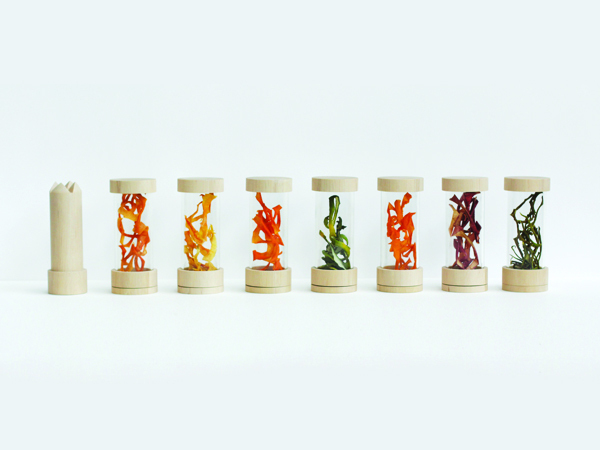 Rianne Koens' Peelpride project was born from the realisation that the peel of a fruit is what holds the most flavour, yet it is systematically wasted. 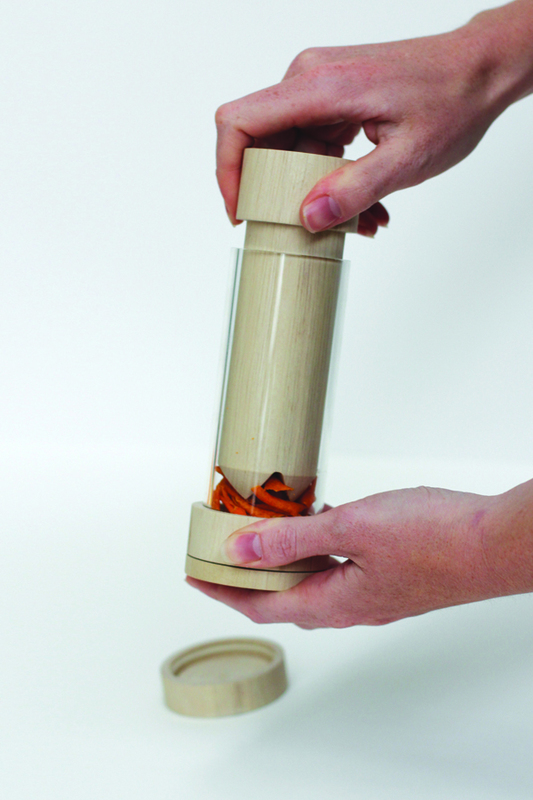 Her collection of products turns this waste into a new type of natural flavouring. 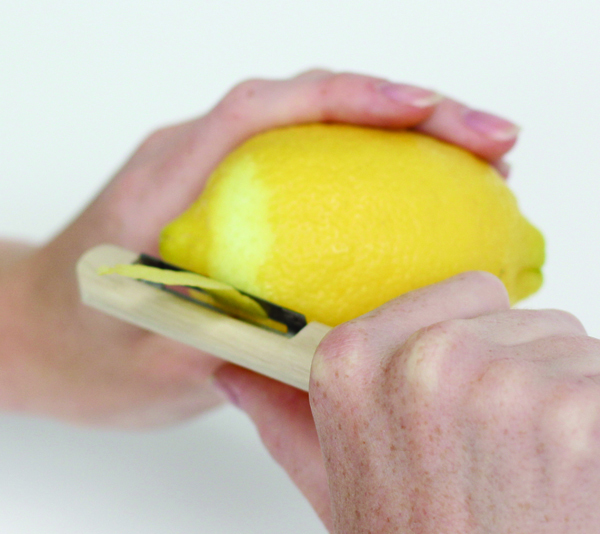 A peeler allows users to remove the thinnest possible part of skin, where all the strongest flavours are contained. The shavings are then put to dry for a few hours on stackable trays, which can be placed on a radiator on cloudy days, and finally ground. The resulting flakes can be mixed in with loose tea, poured into fresh water, or sprinkled over dessert.